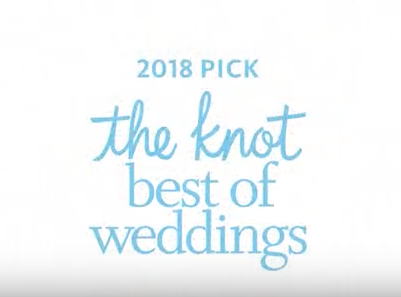 ‎"The Knot Best of Weddings Pick"
We are proud to announce that Lindsey Neal Photography has been rated by local brides and voted The Knot Best of Weddings Pick! Please feel free to E-mail or Call me to hear about affordable photography and services! Testimonials: Want to leave feedback as a customer? 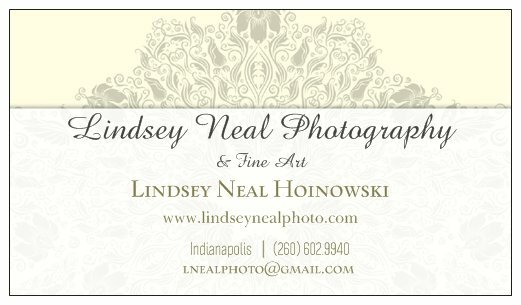 Hear customer's feedback about Lindsey Neal Photography! Please post your feedback, comments and testimonials in the "comments" box below, Thank You! Hi Lindsey, Congratulations on winning The Knot Best of Weddings 2018! "Where to begin?!? Lindsey Photographed our wedding in October and we couldn't be any more satisfied with our choice of photographers. She was extremely professional and helpful from start to finish which was invaluable during the chaos of our wedding planning. We were all astonished at every detail she elegantly captured in a short amount of time. To be honest, being in the field, my husband and i had done our share of searching for the right vendors and photographers after hearing experiences from many friends who had recent weddings and booked with larger companies over the last few years. Lindsey surpassed our expectations with vision and quality. It's refreshing to find people who are passionate about their work. She even took several different family pictures during down time. DEFINITELY worth every cent. Thank you so much, Lindsey!!!" "So first let me say, we were probably best described as the most difficult to work with because let's be honest, it's your big day that's coming soon and you want everything to be as perfect as you envision, so we decided to have engagement photos. Admittedly, no one is comfortable with taking photos not knowing what the camera may capture, right? But Lindsey was very flexible, we went to two different locations, we changed clothing like 3 times for our session, we were difficult, but she was patient, nice and accommodating! She made us feel comfortable and she took amazing photos, we couldn't have asked for a better photographer! She was the most affordable out of all the vendors I contacted and created a great product for the value. I'll tell you this, if want someone who will LISTEN to you, give YOU what you want, and create the beauty, I couldn't have asked for a better person. I hope to have her capture my moments at my wedding as well and I would truly recommend Lindsey for your event!" Carl S.
"Hi Lindsey! We absolutely love the photos! You did an amazing job, and Carl is very hard to please, lol. We love the photos, you captured everything beautifully! it was a joy working with you!" "We LOVE Lindsey's work! When she took wonderful engagement photography for us, several of our friends booked her for their weddings. We're very excited to use her for our family portraits. I highly recommend her work, she's the best!" "Thank you so much for getting these to us SOOO quickly!! We just had a blast looking through these :) They're absolutely beautiful; you did a wonderful job. We love so many of them! And you NAILED the date on the paper lanterns!!! YAY!!! We are excited to share these with our loved ones and of course we will give your name to our friends as they follow in our footsteps (or start poppin out babies). I look forward to working with you again on our big day in the summer! Thank you again for the stunning pictures!" "Lindsey photographed my daughters wedding in June, and we couldn't have been happier with our experience and results. The pictures are simply stunning. She captured every moment and detail beautifully. She wasn't overly obtrusive like some photographers, and she worked with us to understand what we wanted. She worked around our schedule and was very quick and accommodating. We had hundreds of wonderful pictures to chose from! Because I didn't break my wallet, I was able to order a beautiful album and several prints for family. We Highly recommend her services!!!" M. J. "We are very impressed and pleased with the work we received from Lindsey. We highly recommend her to anyone!" "Lindsey photographed my daughters wedding in June, and we couldn't have been happier with our experience and results. The pictures are simply stunning. She captured every moment and detail beautifully. She wasn't overly obtrusive like some photographers, and she worked with us to understand what we wanted. She worked around our schedule and was very quick and accommodating. We had hundreds of wonderful pictures to chose from! Because I didn't break my wallet, I was able to order a beautiful album and several prints for family. We Highly recommend her services!!!" "Lindsey Neal has photographed my children for several years now. They always feel comfortable and have fun too. I love the natural, candid photos that capture their true personalities." "Lindsey...thank you for shooting Matt and Abby's wedding Saturday...it was a very emotional day and we are so appreciative that you were there...we look forward to seeing all of the wonderful photos you shot and thank you for all of your kindness and patience"